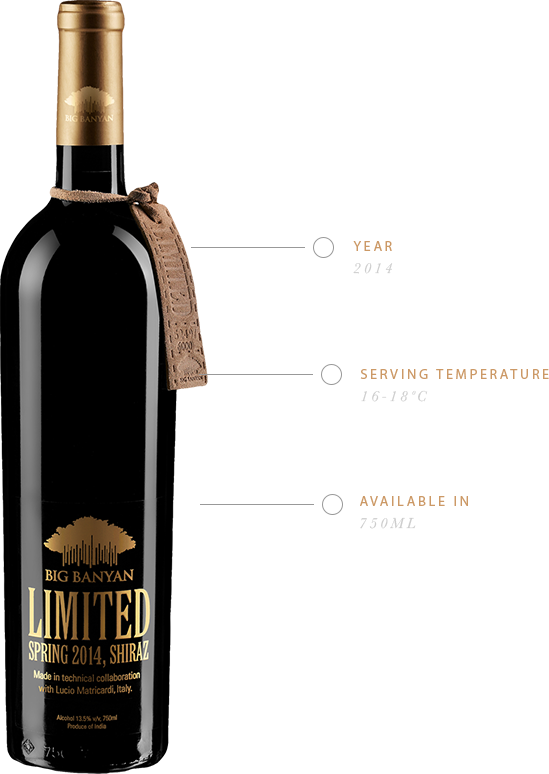 The Big Banyan Limited Shiraz is artistry in a bottle. For twelve long months, we let this red age patiently in French oak. And then, for equally long in glass bottles, before bringing it to you. Decant it and savour the deep, bold flavours. An intense ruby red with a subtle glint of mauve. smooth velvety tannins to seduce your sense.